Providing you the best range of industrial wall mounted exhaust fan, industrial metal exhaust fan, mixed flow duct ventilator and direct drive metal exhaust fan with effective & timely delivery. We have been numbered amongst the most trusted names around here, included in offering Reversible Exhaust Fan. This Industrial Exhaust Fan is planned by utilizing sharp edge innovation at our seller's end. Besides, our item range is refreshing amongst the customers for its successful use. Packaging Details: As er Client instruction. 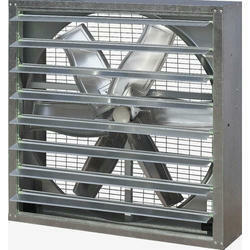 We have picked up ability in offering industrial Metal Exhaust Fan to customers. Metal Exhaust Fan is utilized for giving most extreme ventilation even in the overwhelming vicinity of unstable or combustible, vapors, gasses, and dust. Ecoair Mixed Flow Duct Ventilator has the advantages of low noise, large air flow and high static pressure, this design is more suitable for most of the ventilation situations comparing with axial fann and centrifugal fan. 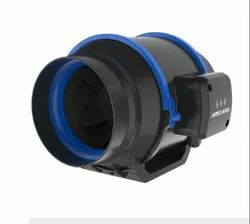 Moreover, the motor and impeller are located at the center of the structure which means you can easily install, remove or maintain them without adjusting the pipleline even in slealed space. 1. High strength PP plastic, light weight and durable. Double insulation. 2. Mixed-flow impeller design, high pressure and large air flow, highly efficient and low noise. 3. Special snap joint design, easy installation, perfect seal conditions, easy maintenance. Can be wisely used in ventilating meeting room, office, public space, hotel and residence. 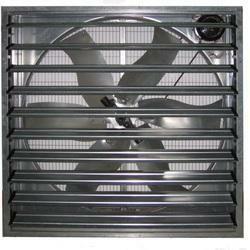 We are offering Direct Drive Metal Exhaust Fan to our client.